Bologna is one of my favourite cities in Italy. Its maze of picturesque streets, with their historic arcades, pastel-coloured houses, imposing churches and quaint shops, are a joy to stroll through. On one of my trips there, I was treated to stunning views of the city as the plane made its final approach into Bologna Airport. Aerial views of Bologna before the plane landed. 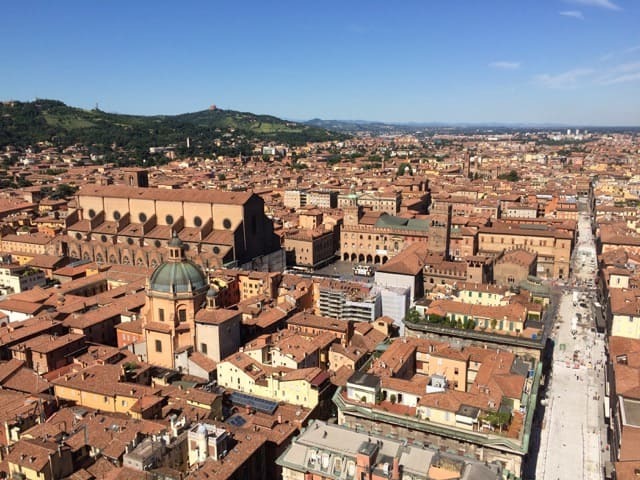 This experience inspired me to see the city from above once again – this time from the top of the Asinelli Tower, one of the famous leaning twin towers in Bologna and the tallest leaning tower in Italy. 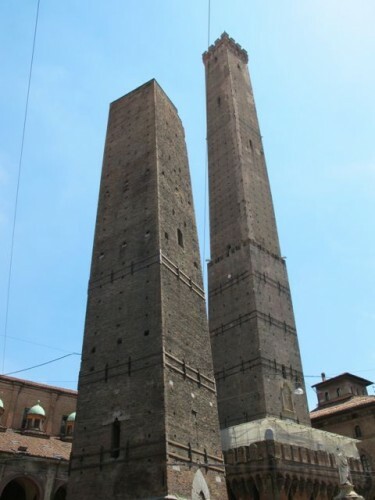 In medieval times, Bologna had an imposing skyline, with more than 100 towers crowding the city centre. It’s not entirely clear why they were constructed – the obvious reason is for defensive purposes – but from the 13th century onwards, many of them were demolished whilst some of them collapsed. These days, there are about 20 towers but the Twin Towers are the most famous. Of the two, the Asinelli Tower is the tallest (at a height of 97m) and is accessible for the public. I climbed it once before during my first visit to Bologna in the early-2000’s and remembered how harrowing it was. The old wooden staircase creaked continuously and various steps were slippery and/or uneven. The views though were phenomenal, and so, after my experience from the plane window, I decided to climb the tower once again. It’s really quite incredible once you realise that you’re climbing a skyscraper that’s more than 800 years old! Once you reach the top, you’ll be rewarded with an absolutely breathtaking view, perfect for aerial photos of Bologna! Panoramic view of Bologna from the top of the Asinelli Tower, the tallest leaning tower in Italy. Can you spot some of the other towers? Another view of Bologna from the Asinelli Tower. A panoramic view of Bologna, with the Cathedral in the centre-left. 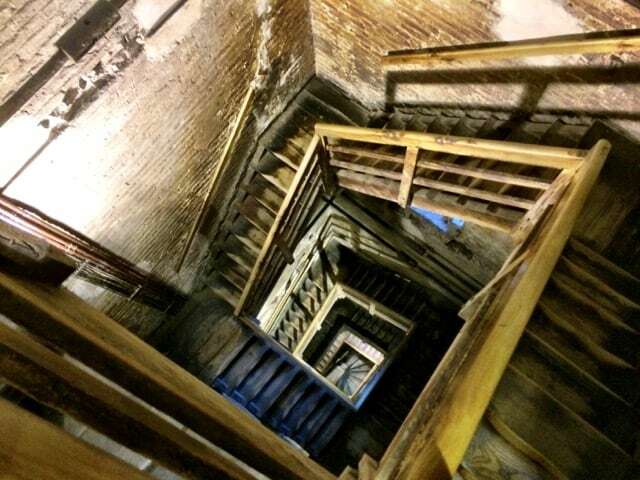 If you’re not afraid of heights, climbing the 12th century Asinelli Tower is one of the must-do’s in Bologna. 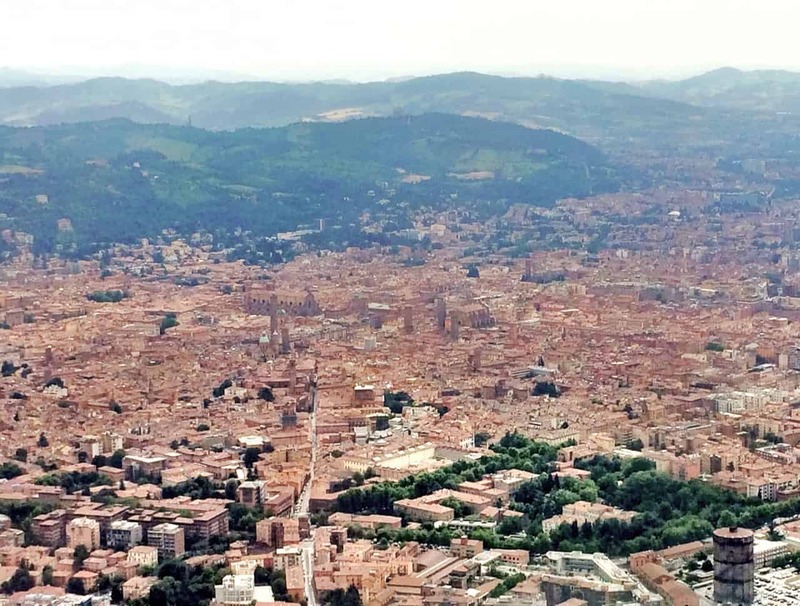 You simply shouldn’t miss the panoramic views of Bologna from up there. Book a tour of Bologna. Read more about my experiences in the Emilia Romagna region. Hi Jeff, I hope the opportunity presents itself soon. It’s such a great city to visit and explore! 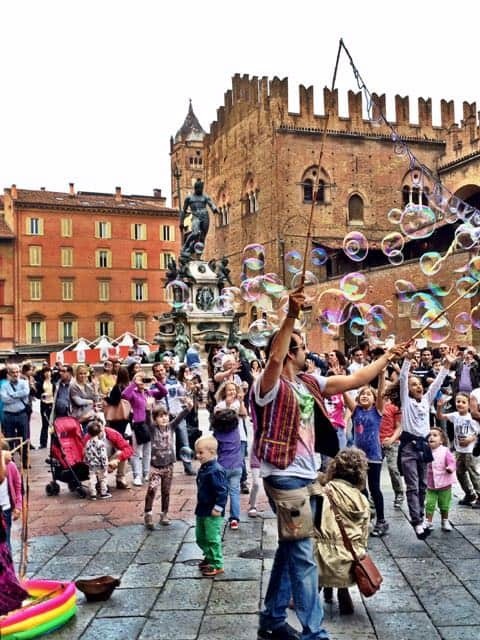 Bologna looks amazing from those towers … can’t wait until I get to visit this city! wooooowww owesome Pictures,love that,thanks for sharing this amazing Italy. Haha, it’s a pretty easy climb if you’re decently fit. The view is absolutely worth the climb though! Love all the red rooftops! Sounds like a bit of a thigh-burner to climb the staircase inside the Asinelli Tower — but looks like the view is worth it!